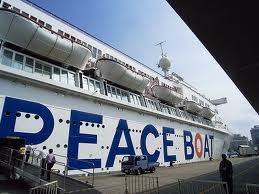 Peace Boat, an organisation based in Tokyo, has started a volunteer programme dishing out meals etc in Ishinomaki city. You can go there with them for up to a week, or help in Tokyo with fundraising etc. More info is on their volunteering website here.